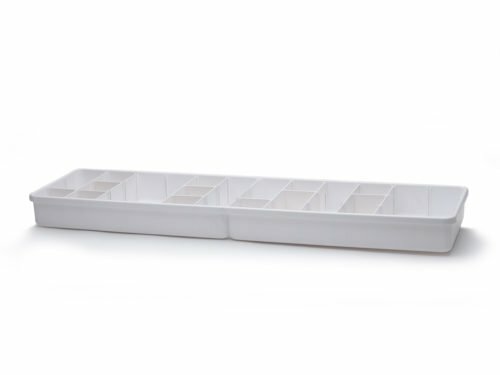 The Handi Tool Tray sits on top of your HQ frame, spanning the poles, making it easier to access all your gadgets, bobbins, needles, rulers, scissors etc. Measures 6 Inchx 31 Inchx 1 Inch. The Tool Tray is designed to work only with the HQ Studio/Studio2 Frame.